The UAE has built up a stockpile of “soft power” because of its Founding Father’s legacy, generous humanitarian aid and attractive higher education options, a top official told the International Government Communication Forum (IGCF) in Sharjah on Thursday. 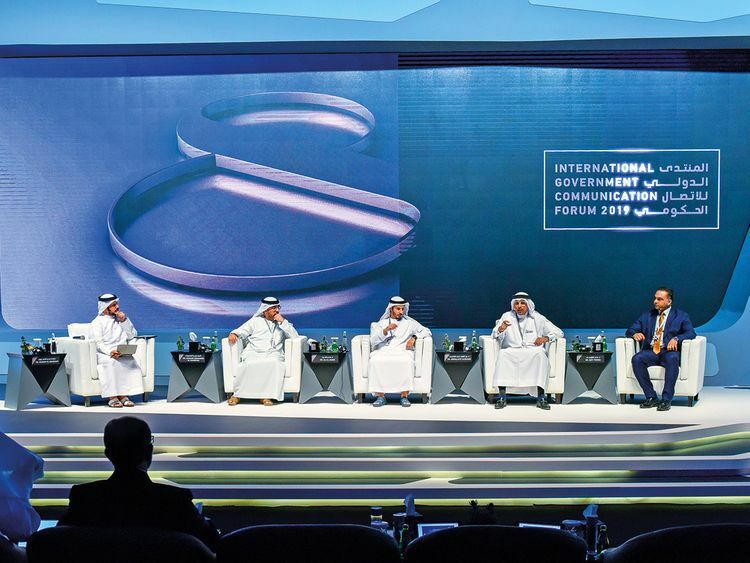 In his IGCF talk on soft power, Saeed Mohammad Al Eter, director-general of Public Diplomacy Office at Ministry of Cabinet Affairs and Future, and secretary-general of UAE Soft Power Council, said a country’s soft power is most impacted by its leader. In the UAE, he said, the late Shaikh Zayed Bin Sultan Al Nahyan, the first president affectionately known as the Founding Father, created a positive reputation of the UAE through his dealings with other countries. “We are still benefiting from this positivity today and our leadership continues this legacy because we are all the sons of Zayed,” Al Eter added. A country’s leader’s every move is watched and every word is taken into consideration by foreign powers and peoples, he said. Illustrating his point, Al Eter gave the example of Libya under Colonel Muammar Gaddafi, whose negative reputation overshadowed Libya’s rich culture in international relations. In contrast, New Zealand Prime Minister Jacinda Ardern’s soft power lessened the fallout of last week’s Christchurch terror attack. Al Eter said Ardern is known for her support of women’s and children’s rights, as the youngest female prime minister (she is 38) and for being media savvy. He added that in the wake of the Christchurch mosque shootings, Ardern won hearts by wearing the Muslim hijab (head cover) when visiting families and survivors, taking an oath to never take the suspect’s name, and changing New Zealand’s gun laws. Al Eter said because of a leader’s soft power, sometimes “positive repercussions” can come out of tragedies. Another arsenal of soft power is humanitarian work, in which the UAE leads the world in terms of being the biggest donor relative to its GDP, Al Eter added. However, many people are unaware of the extent of UAE’s humanitarian work because it has not yet been fully leveraged in the media — which is another wielder of soft power. A third main pillar of UAE’s soft power, Al Eter said, is the rise of international students coming to the UAE, who spend around four years here earning their university degree and experiencing local culture before returning home with a positive image. “But some try to use misuse that soft power in a negative way. In Iran, there are 25,000 international students. They try to brainwash the students and send them back to create problems in countries,” he added. At the end of this talk, Al Eter said soft power is not static — it falls and rises like a country’s currency value.